Christmas crackers are such a pretty way to present gifts aren't they? You can just pop them under the tree as ready wrapped presents or add them to your Christmas table setting for an extra special touch. 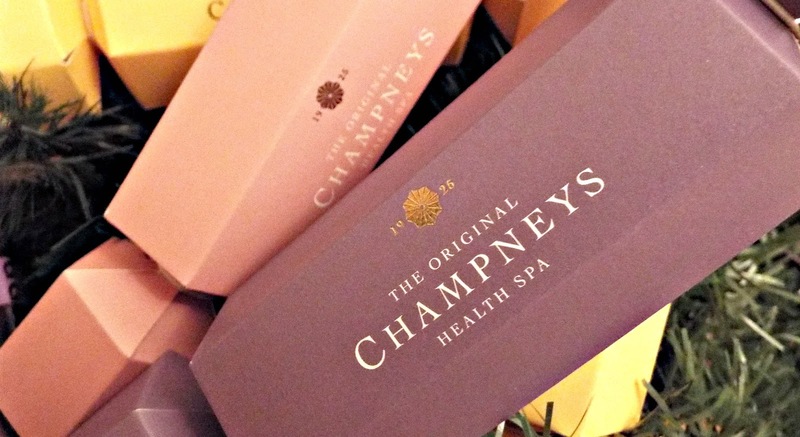 Over the years we've seen quite a few brands get on board with this festive concept but what really stood out to me with this Champneys offering is the value, quality and affordable price point. 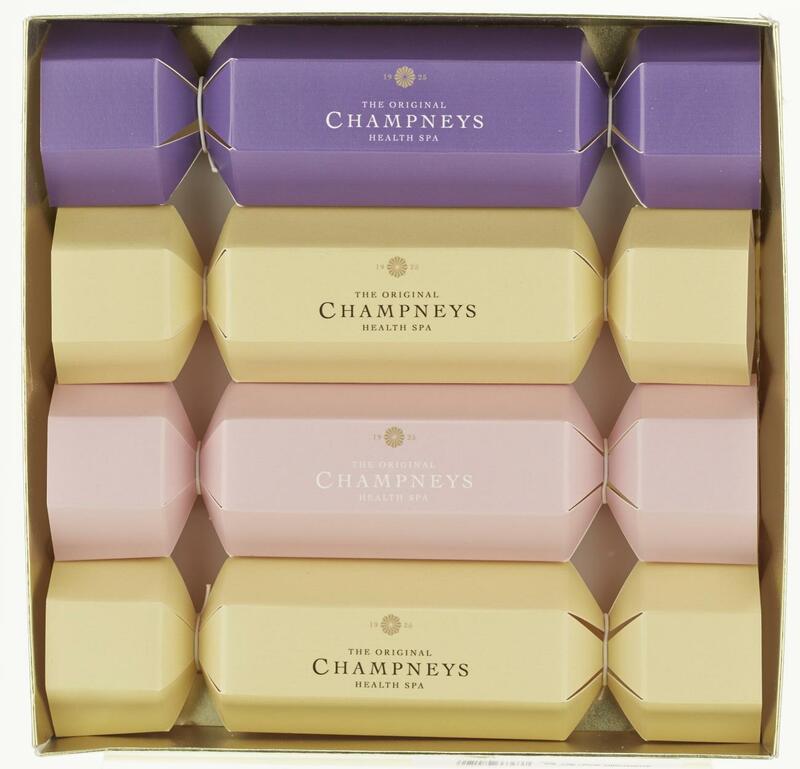 The Champneys Cracker Collection is only £10 and includes four large crackers in a pastel colour scheme, each containing a 50ml product - perfect for splitting up and using as stocking fillers or secret santa gifts or of course just keeping the packaging intact and gifting the whole thing. This set was actually my first taste of what Champneys have to offer and the rich scents and perfectly pampering feel of the products have now made me understand why this is such a well loved and respected brand. A calming shower cream infused with the relaxing scents of geranium, lavender and chamomile. A rich shower gel with summer fruit fragrances Grapefruit, Orange and Lemon Peel oils combine with Peach, Mango and Passionfruit scents rounded off with a touch of Sandalwood. Zingy and refreshing, especially for this time of year! A zesty shower gel with Mandarin, Lemon Oil and Cardamom. A refreshing blend of Mandarin, Lemon Oil and Cardamom with a Sweet Almond Oil and Vitamin E base. Champneys have also created a range of gift sets and hampers to suit virtually any budget this Christmas including: The Bag of Delights (£12) which features three body butters and a body soufflé. Bubble Heaven (£16) that includes three delicious Bath Soaks. The Relaxation Hamper that's brimming with bath and body goodies and a candle and socks! (£60) - and the Bath Basket Collection (£30) that includes a Bubble Heaven, Shower Cream, Body Lotion, Face Cloth and Towel. 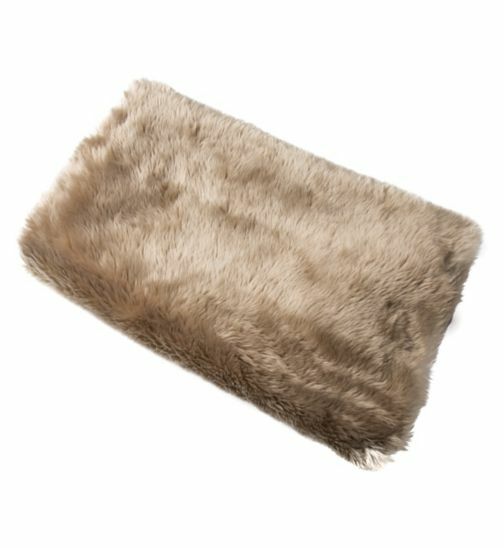 Personally I have my eye on this Luxury Throw (£25), probably because it looks so warm and fluffy and it's freakishly freezing right now. 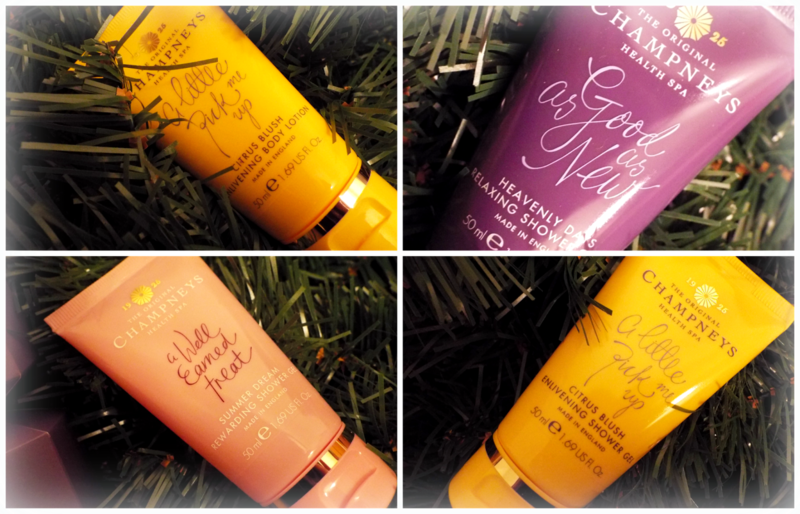 The Champneys Cracker Collection and all of their other gifts are available at Boots in store and online.